At Dynamic Discs, we understand how hard it can be to try new things, which is precisely why we developed our friendly Buyback Program. 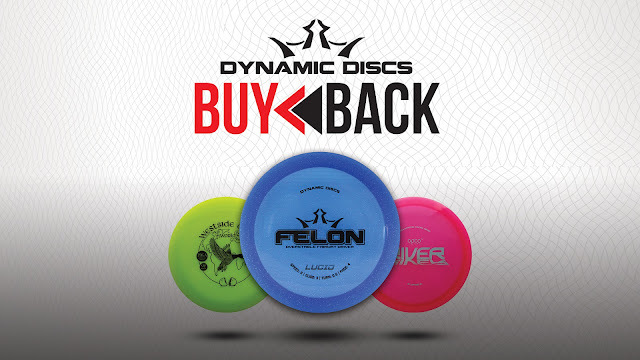 We wanted to provide players, from the seasoned professionals to the first timers, an amazing opportunity to try out any mold from Dynamic Discs, Latitude 64, or Westside Discs and know that within 14 days, it can be exchanged for any reason with any other disc in the store of equal or lesser value. Parkhurst goes on to explain that customer confidence in their purchases has been much higher since implementing the program. “It’s so easy to make the program work for you,” he says. There’s something about knowing you have recourse if your purchase doesn’t work out that makes players more confident in purchasing discs that are new to them, and that in turn will boost store sales. Remember, there’s always fine print. The Buyback Program requires your proof of purchase and excludes misprints. It’s available for in-store purchases only. To find a store that participates in the program, check out our locations here.